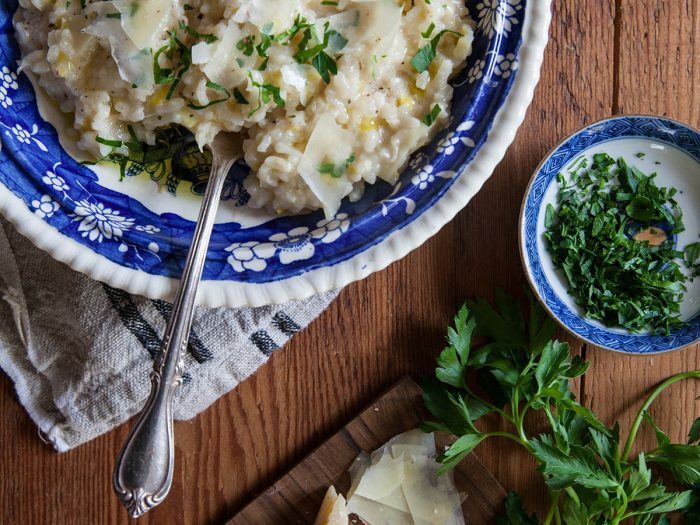 Risotto with LeeksSpring is in the air, and what better way to greet it than with a risotto. This one is made with in season fresh spring leeks that you can pick up from a farmer's market if desired. Top with Parmigiano-reggiano, and you have a simple but flavorful meal.